May have more on this later, but I HOPE this is a good hire. I'd like to see some excitement and some BUZZ around that football program again. 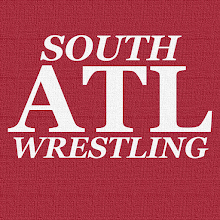 In this piece on Roman Reigns and his leukemia announcement, I touched a little bit on my Georgia Tech fandom (even though I am a BAMA guy). Back to the BUZZ thing above (yes, that was intentional) I must admit that my level of excitement about the program had died down near the end of Paul Johnson's run. I am glad to have a reason to get excited about Georgia Tech football again. I love the Alabama Crimson Tide, but there is something cool about seeing Georgia Tech take the field with my home state's flag too. Bobby Dodd Stadium makes for a really unique, cool, and historic place to see a game. I recommend everyone catch one there at some point.